Chair Yoga at Independence LIVE. If you’re looking for a way to introduce exercise and clarity of mind into your weekly schedule, then Chair Yoga at Independence LIVE is the perfect solution. 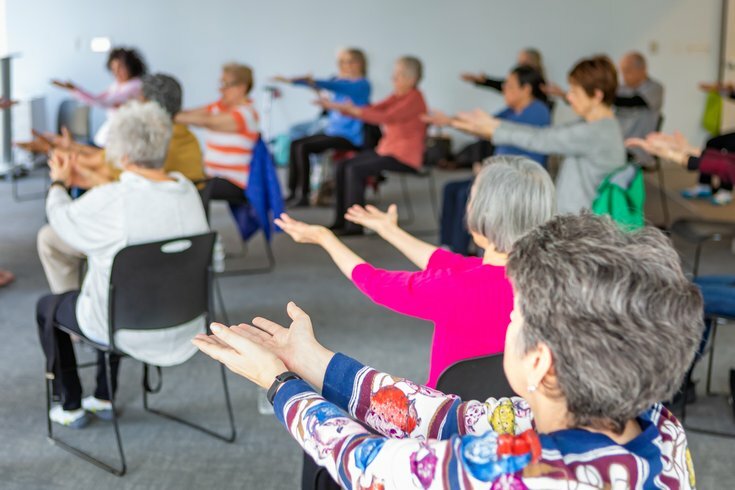 This class follows a gentle routine consisting of stretches, breathing, and postures that improve wellness and require no additional equipment needed other than – you guessed it – a chair! All you’ll need to bring is a towel and water! The next Chair Yoga class takes place on Thursday, April 25 at 11:15 a.m. and is free for members of an Independence Blue Cross health plan. Thursday, April 25 from 11:15 a.m. – 12 p.m.